High-quality seasonal decorations are not always easy to come by, especially when you’re putting together the perfect Christmas interiors. Today is the day we look at faux floral home décor elements, for two solid reasons: they are timeless and reusable, and they’re a friendlier choice when you’re environmentally conscious. For the twenty-first day of our Interiors Advent Calendar, we’re pleased to bring VG New Trend back into the conversation, purely because they’re not just fabulous creators of furniture and lighting pieces, but also because they are, by far, one of the best brands to work with where artificial flowers décor is concerned. The Eternity Bowl Red Berries are a Christmas favourite, entirely artificial and hand-crafted to perfectly replicate nature’s best. 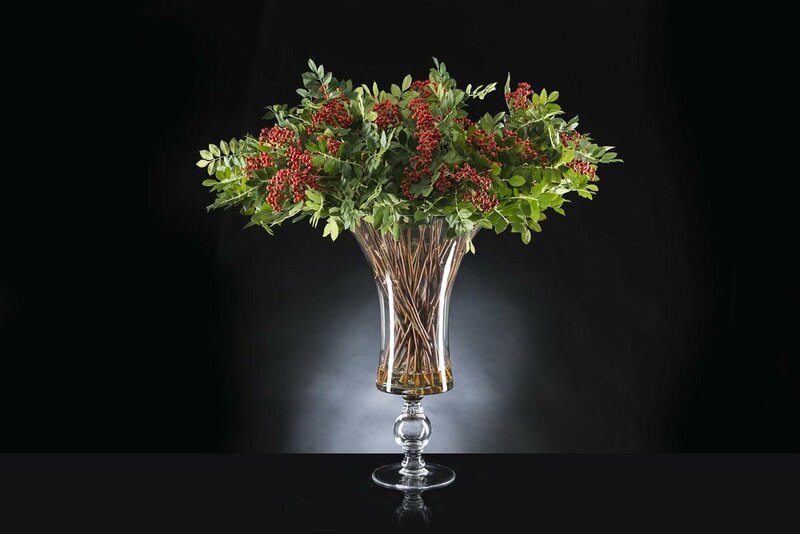 Each stem, each leaf and each berry is crafted with authenticity in mind, producing these gorgeous bouquets that add a splash of colour to any setting. Whether you’re looking to liven up certain parts of the hallways or reception areas, or you’re aiming to amp up your dinner table game with a stunning centrepiece, we’re confident that this particular floral arrangement will do the trick. Part of VG New Trend’s objective to deliver unique and stylish designs, faux florals are an integral part of a design and environmentally-conscious interior. Contact us for catalogues and pricing.